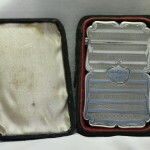 Categories: Card cases, Silver and silver plate Tags: Calling card cases, Card cases, Edward Smith silver, Edward Smith silversmith, Sterling silver card case by Edward Smith of Birmingham, Visiting card cases	SKU: 3647. 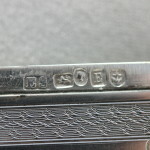 Sterling silver card case by Edward Smith of Birmingham. 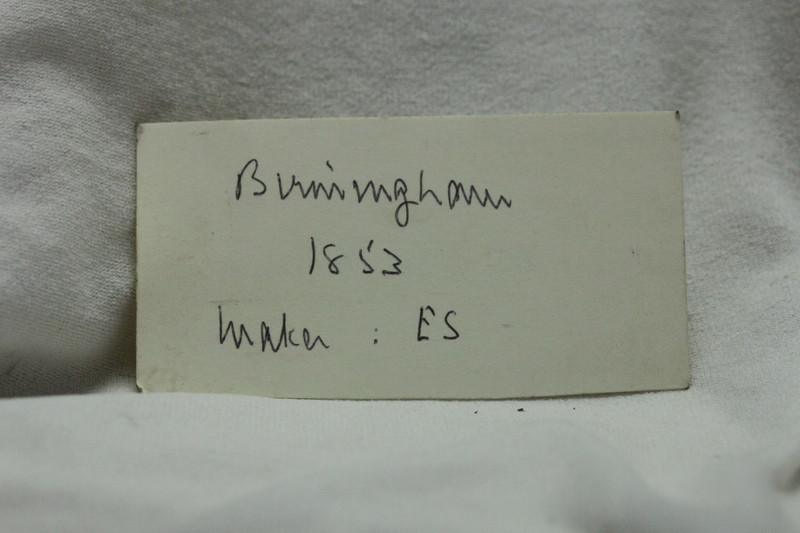 Item 3647. 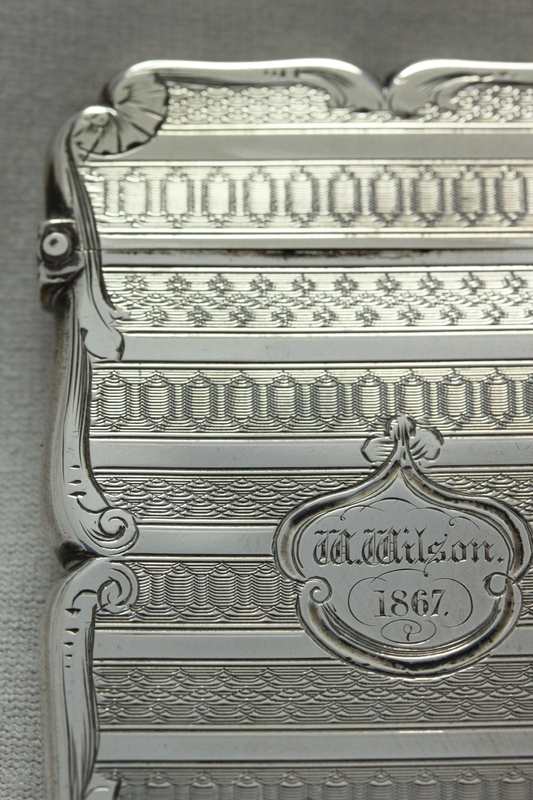 This very attractive sterling silver card case with a hinged top, was made by Edward Smith of Birmingham in 1853. 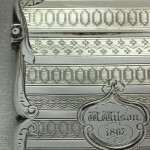 Smith was a good maker, noted for making card cases decorated with engine turning and engraving. 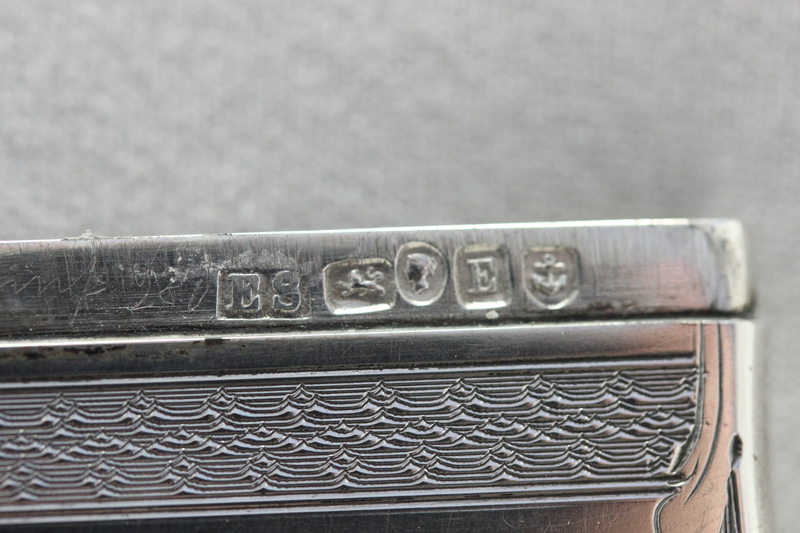 Interestingly, although it was made in 1853, it carries an engraved name of W Wilson 1867. 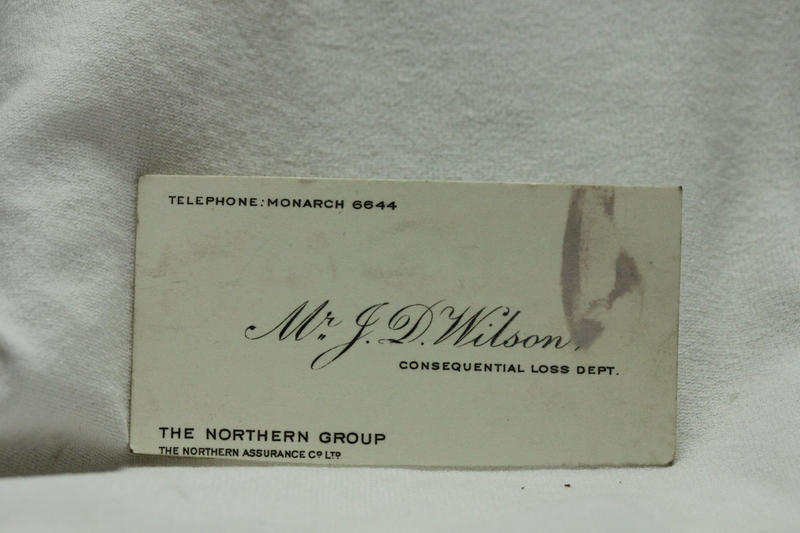 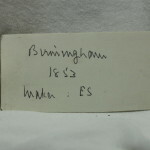 Inside the case is a visiting or calling card for Mr J D Wilson, presumably a descendant of W Wilson, with details of the case written in pencil on the reverse. 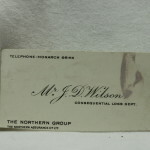 The card case is 83mm long, 50mm wide, 7mm thick and in excellent condition. 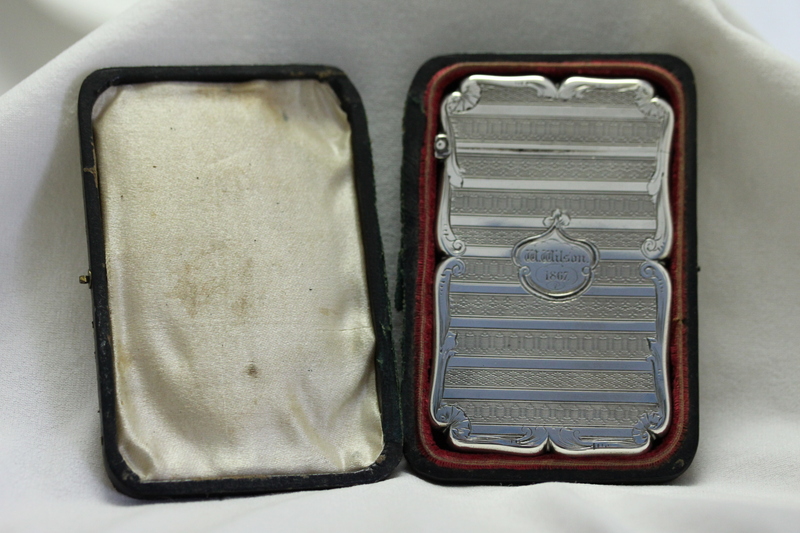 Although the original velvet and satin lined box is rather distressed, the case appears to have had little use.